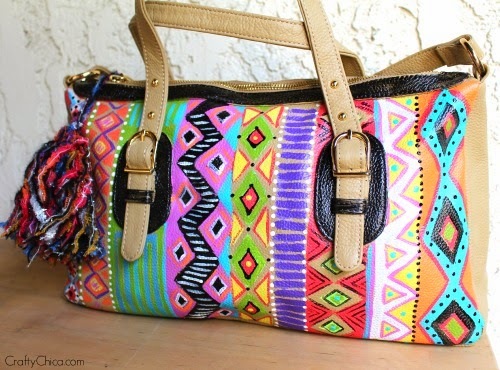 You are totally going to think I'm cray-cray bananas, drizzled with loca sauce when I tell you about this bag. 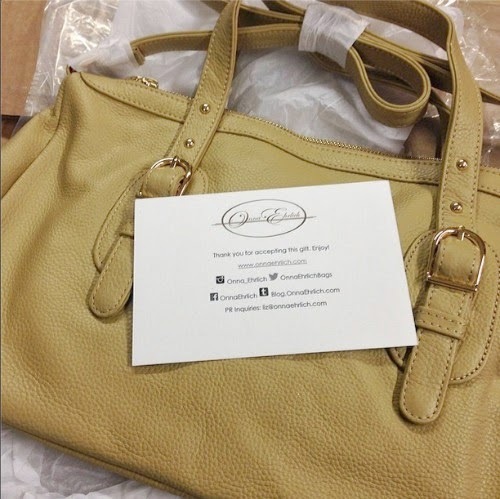 The awesome folks at Onna Ehrlich wrote to me to see if I would feature their beautiful Derin bag ($650.00). They were kind and generous enough to send me one to have and keep! So I received the bag and loved it! 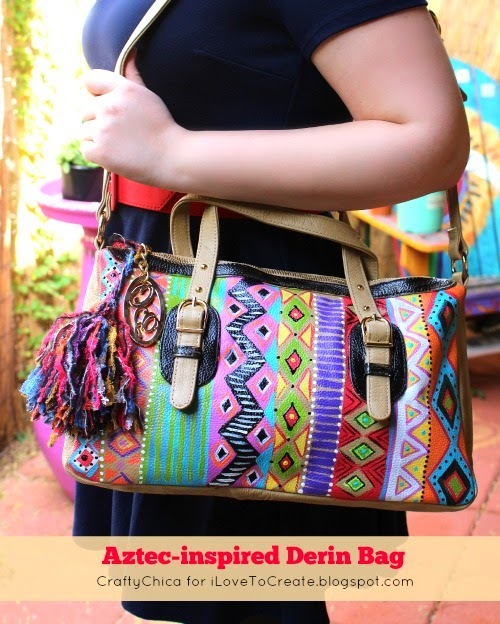 But I thought I'd give it a little DIY love, maybe just a few light barely-there stenciled Aztec designs. Next thing I knew, I went to town on the entire bag! 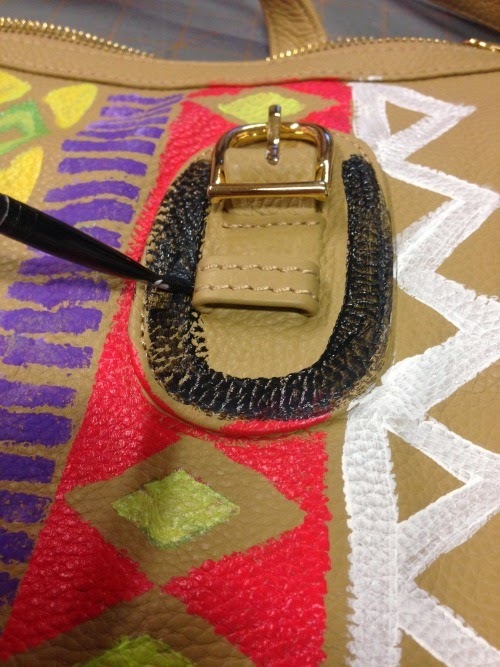 I painted a $650 designer bag! 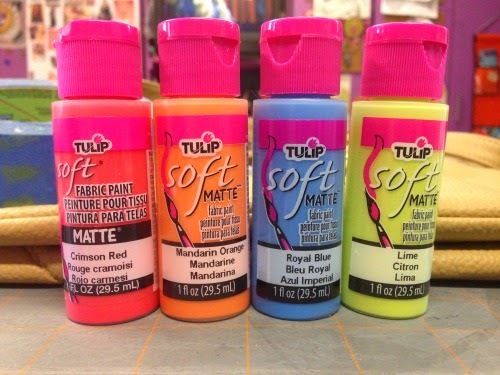 Here are the Tulip Soft Fabric Paint colors I started with. I also added in other colors as I went along. I used clear shelving liner to make my stencils. First I tried blue painter's tape, but it didn't stick well to the surface. The contact paper worked a little better. 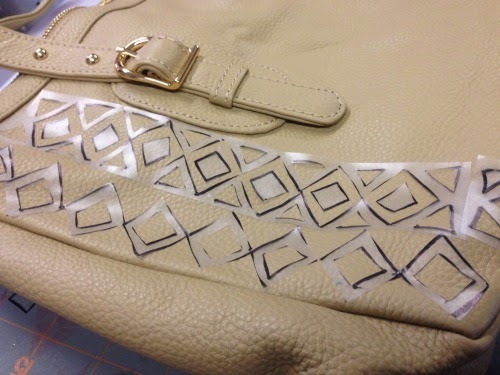 I drew the designs with a marker and then cut them out with a craft knife. I kept every little piece to use in other areas of the bag. 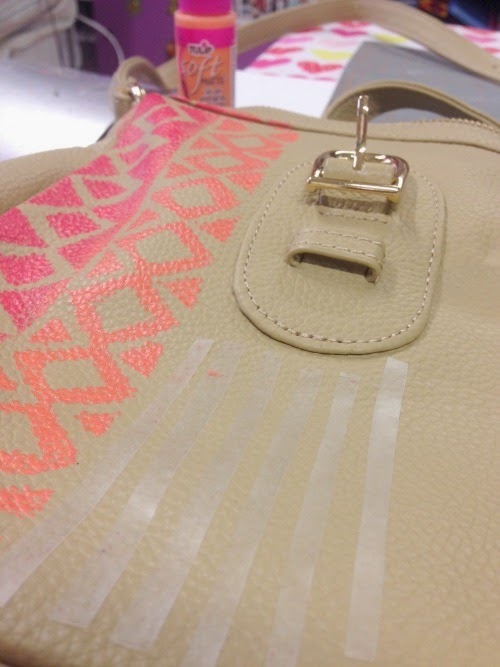 Here's where I applied the stencils to the bag. Time to paint. I also removed the straps. I used the Tulip Sponge Pouncers to apply the paint, column by column. I let them dry between each, so they wouldn't smear (I'm left handed). So much for my light designs! This is the point where I just dove in and went for it. 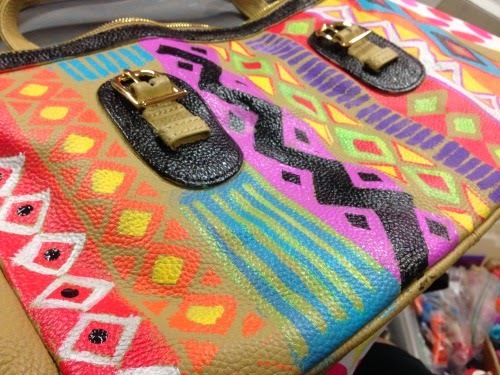 Hello, bright colors! After I finished adding all this paint, I realized the overall design needed some smaller accents, so I added dots and shading. When I finished, I added the straps back. See what I mean? I also made a tassel too! 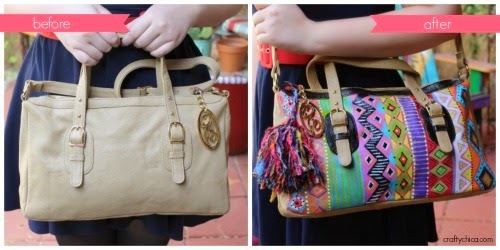 I only painted one side, so I can wear my bag tan, like on the left, or flip it around and show the painted side. Crafty, right? So here is the cool thing - I only painted one side, so one side is business, the other is party! Thank you so much to the team at Onna Ehrlich! 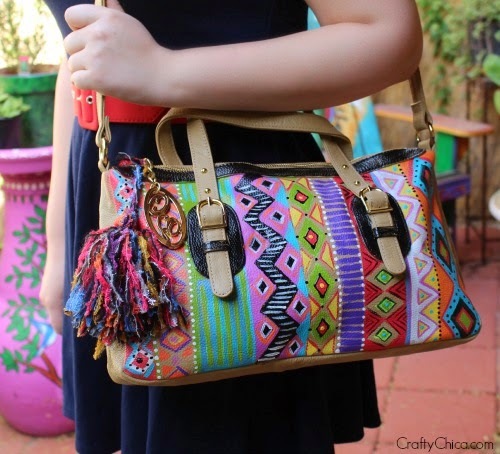 They are offering a discount for anyone who wants to buy a bag this weekend! Users will have 72 hours to shop this promo which is 3 days, ending 12pm PST. 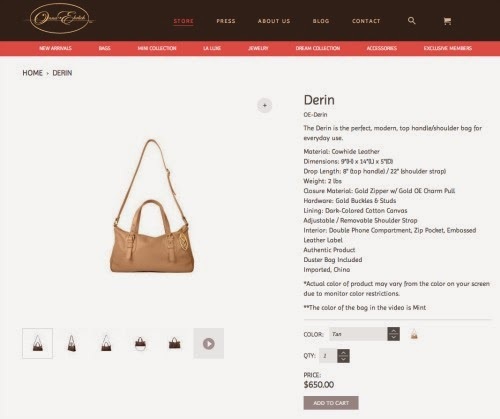 They will offer the Derin bag for $159 which retails for $650! I don't get anything from this, they are just excited for me to share this experience with all of you! I love this Kathy! Gorgeous! I love it. It's like you gave the bag a mullet. Very nice. I love it. It needed some color & you brought it! That is stunning! 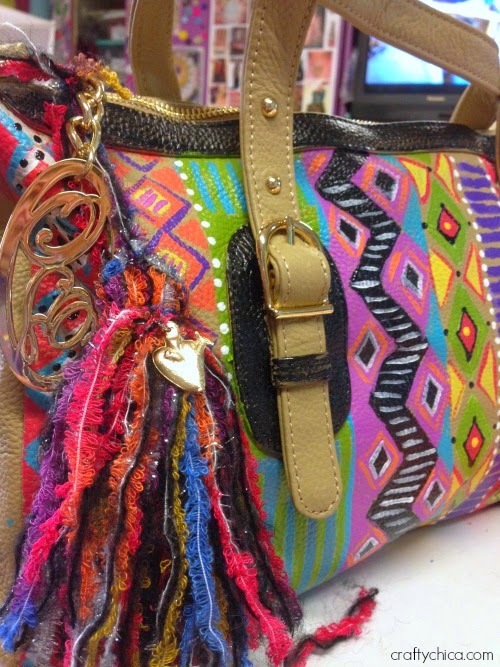 I also love the tassel that just gives it that final touch! Great job! 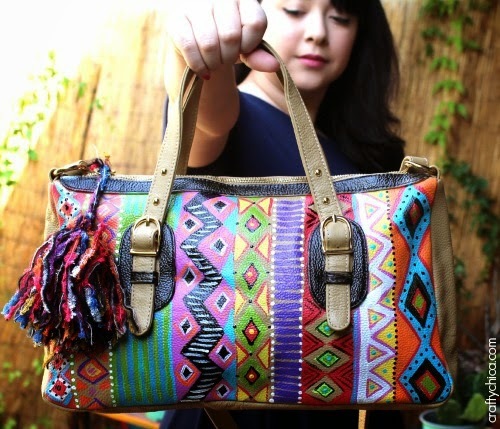 Most of those so-called over the top expensive bags are ugly and plain. I've seen prettier ones in Walmart, BUT you made this plain Jane Cinderella gorgeous!! !